Author and journalist Sathnam Sanghera nominates Alexander Gardner as his great life. Author and Journalist Sathnam Sanghera nominates a Great Life; a man dismissed as a fantasist and a liar in his own lifetime. 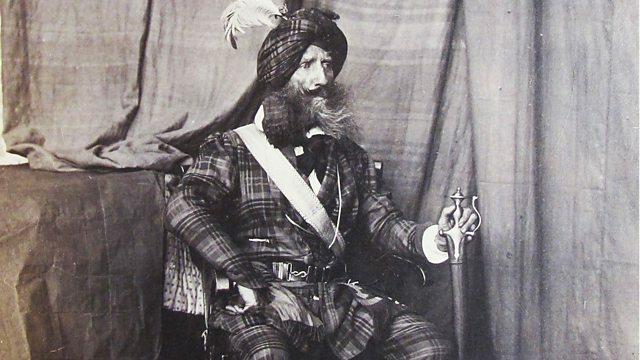 Alexander Gardner was a Scottish-American soldier, a traveller, an explorer and adventurer - a white man with a tartan turban, who ended up in India in a Maharaja's Sikh Army in the 19th Century, just before the British Raj took over. Possibly a plagiarist and touted as a scoundrel, yet Sathnam claims he's worthy of a bigger place in history. If just a tiny portion of what we think we know about him is true, he is a genuinely remarkable figure. Joining Sathnam is our expert witness to Gardner's life, the historian John Keay. The presenter is Matthew Parris, and the Producer is Perminder Khatkar.